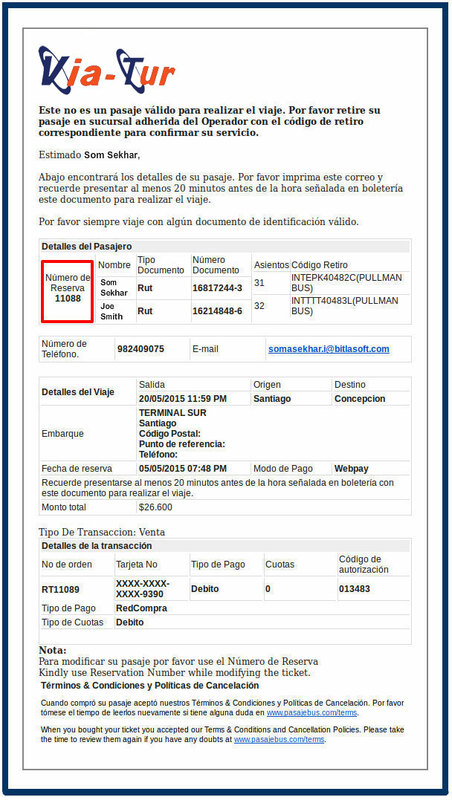 Via Tur Oficial Buses | Buy your tickets online! Via Tur Ltd. was founded on September 27, 1979, by Mr. Gastón Zegard Thomas, to give continuity to the company Via Sur Ltda, which was incorporated in 1947 by his father Mr. Akli Zegard Farat . In the year 1960, Mr. Gastón Zegard Thomas joined as a partner to Vía Sur Ltda., a company that in those years was one of the largest intercity bus operator in South America. Via Tur Ltd. Since the beginning the company has been focused on proving services to following destinations: Santiago to Temuco - Valdivia - Osorno and Puerto Montt. Via Tur offers both Salon Cama and Semi Cama seat type. Libertador O’Higgins 3850, Terminal Sur, Estación Central, Santiago. Vicente Pérez Rosales 01609, Terminal de la Araucanía, Región de la Araucanía. Diego Portales 1001 Of. 10, Terminal de Buses, Puerto Montt. Errázuriz 1400 Of. 2, Terminal de Buses, Osorno. Avenida Anfión Muñoz 360 Of. 141, Valdivia, Región de los Ríos.